TO APPLY: Call us at (646) 398-7864 OR CLICK THE IMAGE. 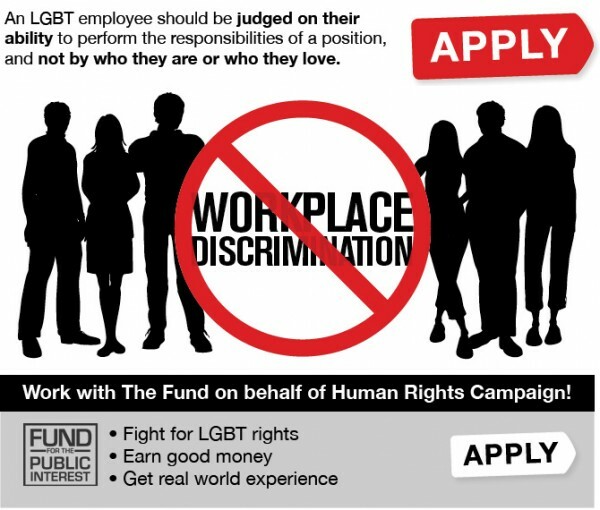 The Fund for the Public Interest is an equal opportunity employer and will not discriminate against any employee or applicant on the basis of race, color, national or ethnic origin, religion, age, gender identity, handicap, pregnancy, sexual orientation or veteran status. Keywords: grassroots, campaign, canvass, social change, activism, citizen outreach, public interest, gay lesbian bisexual transgender rights, lgbt rights, summer, nonprofit.